Sally Sacks, M.Ed. is the owner and head teacher at Eden Road Yoga. As a licensed psychotherapist for over 30 years, Sally realized that clients showed better mental health when engaged in movement, visualization and music that touched the subconscious and promoted rapid change. 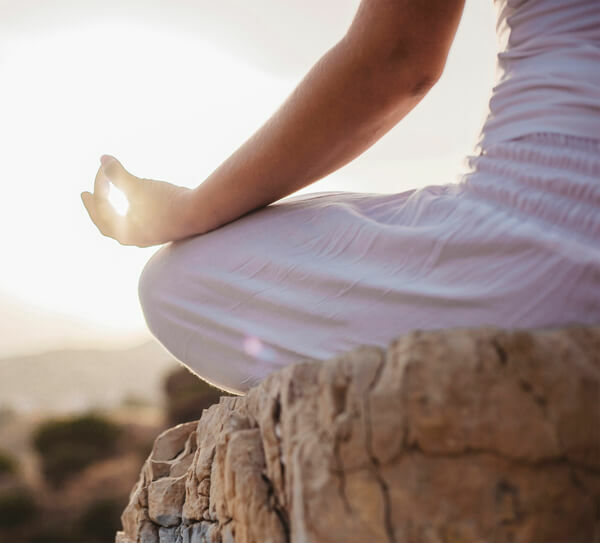 For that reason Sally became a certified teacher, after practicing yoga for many years, and added it to her counseling center - Sacks and Associates Counseling Center in Littleton, MA. Yoga is a workout that is both physical and philosophical - training muscles and the mind in the most efficient way possible while also promoting core values that are useful in everyday life for all. Quite simply, yoga meditation can profoundly alter your experience of life. Thousands of years ago the sage Patanjali, who compiled the YogaSutra and the Buddha both promised that meditation could eliminate the suffering caused by an untamed mind. They taught their students to cultivate focused attention, compassion and joy. They believed that it was possible to change one's mental powers and emotional patterns by regularly experiencing meditative states. Western scientists are testing the wisdom of the masters, using new technology researchers to study how meditation influences the brain. The current findings are exciting enough to encourage even the most resistant yogis to sit down on the cushion. They suggest that meditation, even in small doses, can profoundly influence your experience of the world by remodeling the physical structure of your brain.